In Mezezo there are many children with single mothers. These mothers are often young women who have inadvertently become mothers and have remained unmarried. Because of the care for their child, they often did not finish the school and they can only work to a limited extent. As they get older, they can catch up with these disadvantages more and more difficult. As a result, the children of these single mothers run an increased risk of poverty. 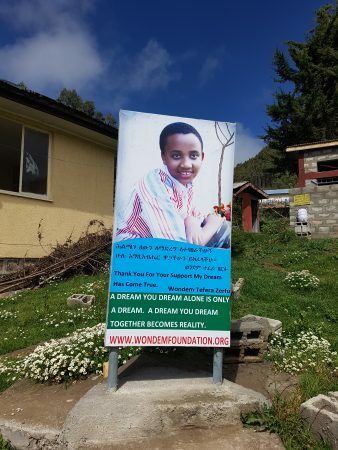 Wondem Foundation was established to improve the fate of the children in Mezezo. To this end, it has already carried out many projects. Now it sees the vulnerability of these mothers. In order to improve the fate of their children, investment in these mothers is necessary. And that is the intended goal of this project: stimulating or empowering single mothers so that they can offer their children better opportunities in life. 1. They receive sanitary towels. 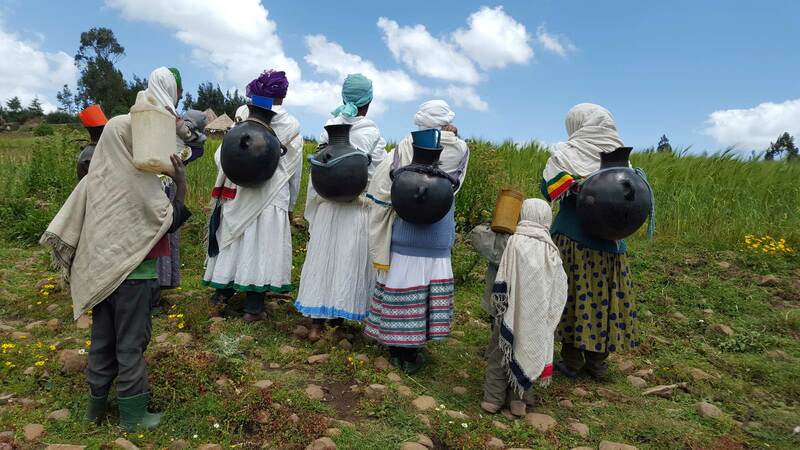 This makes it possible for them to be active throughout the month and not compelled to stay at home for one week per month during menstruation. 2. They now receive instruction in reading, writing, hygiene and health. 3. 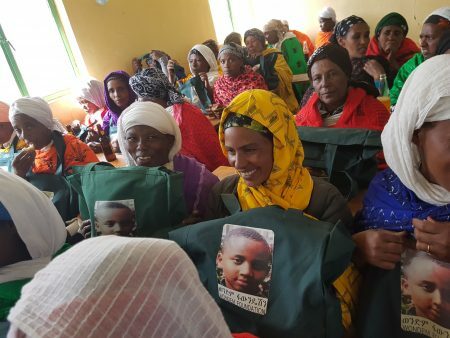 40 single mothers have been given 120 sheep. 4. 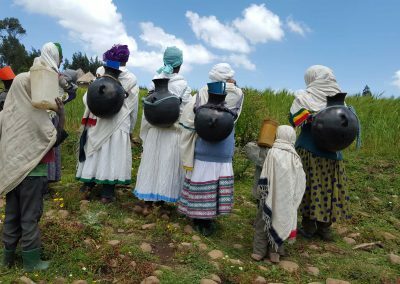 10 single mothers have received chickens and materials to prepare local traditional drinks. In Mezezo many children are prompted or forced to work for economic and social reasons. Child labourers do not go to school. They will therefore always continue to do low income jobs. Child labour often goes together with trafficking in human beings. Girls often remain at home during menstruation, because they only can hygienically look after themselves at home. Because of this they miss one week school per month and their results lag behind. The consequence is that they are removed from school and have to work. Wondem Foundation provides now sanitary pads at school. Also it supports the empowering of girls through setting up girls clubs. In these clubs girls turn out to support each other to go against the decision of their parents to quit school. The school drop-out rate fell from 47% to 1%. 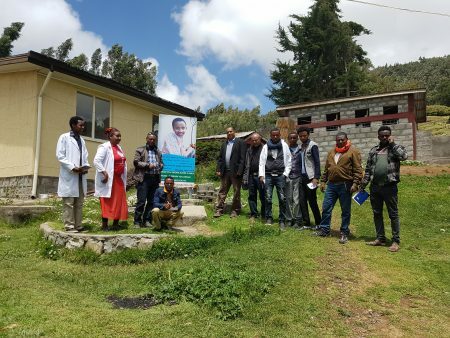 The medical facilities in Mezezo were severely lacking. There was a small health centre where consultation was held. A hospital failed. That was 70 km away in Debre Brihan. 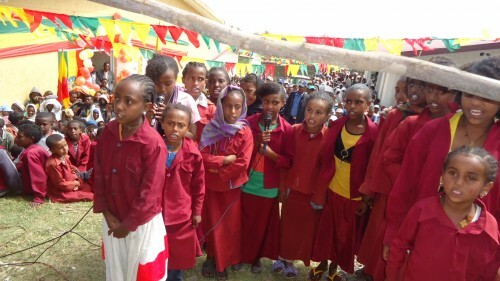 The infant mortality rate in Mezezo was therefore high. In the small health centre was a room available with two beds, on which women could give birth. That, however, was totally inadequate. There was enough medical staff. Equipment, medicines and dressing materials were present, but there was no good space for the office hours, for assisting at deliveries and for the aftercare. Daily 100 women came to office hours for problems with their pregnancy and/or for a pregnancy chechup. But they had to wait their turn outside on the lawn. Often they were even examined and treated there. And if there were more deliveries at the same time – and that happened weekly – the women gave birth on the same lawn. A far from ideal situation, which led to many complications in mothers and infants. 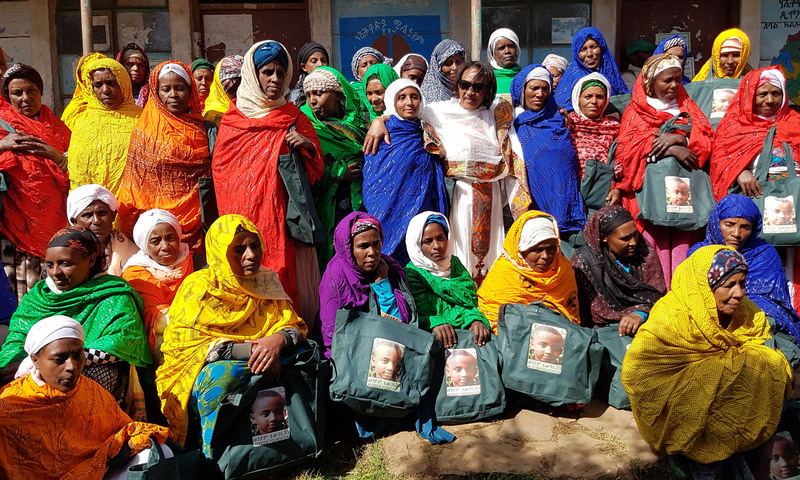 Although Ethiopia makes progress, it still has internationally the highest maternity mortality rate and infant mortality rate; the situation in Mezezo was even more dramatic. Many mothers and babies died, while that could have been prevented. It was therefore badly needed that a health centre would come; a health centre where pregnant women can get help, both before their childbirth, as during their childbirth, as after their childbirth. That’s why Wondem Foundation wanted to build a maternity hospital which has enough capacity for women who come for a pregnancy checkup, for assistance with problems and for their delivery. Wondem Foundation has 80% and the municipality Mezezo has 20% paid of the construction of the maternity hospital. 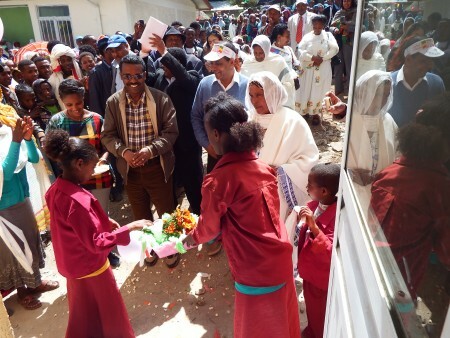 Family T. Zerfu went to Mezezo in Ethiopia for the opening ceremony of the maternity hospital at the end of January 2015. There were more than 2,000 inhabitants at the opening ceremony and their reactions were very nice. 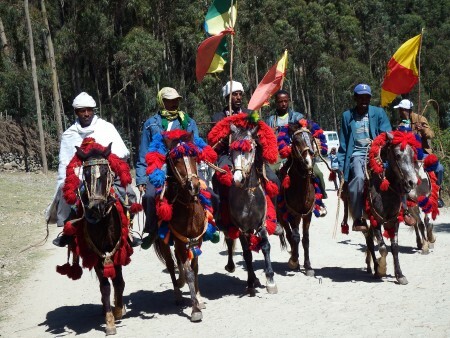 There were inhabitants with special traditional clothing, who sang songs, danced and performed a show. The priests of two churches came up with a special presentation and made the day very attractive. The new maternity hospital has 1 meeting room, 4 delivery rooms, 2 large rooms with 8 beds per room, 1 examination room, 1 stockroom, 2 rooms for personal care and 1 clean room. Wondem Foundation has also renovated and improved old buildings. 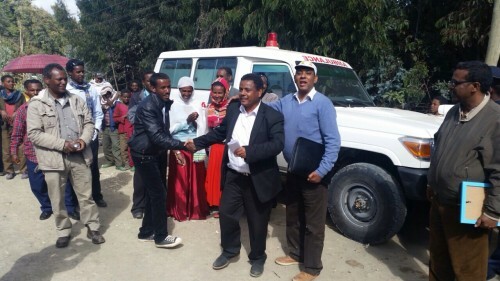 In addition, Wondem Foundation has purchased medical materials and office supplies and given to the health centre of Mezezo.